The Crossfire is for those bigger beaks in your house that love to chew! This is a hefty toy, strung on nickel plated welded chain. 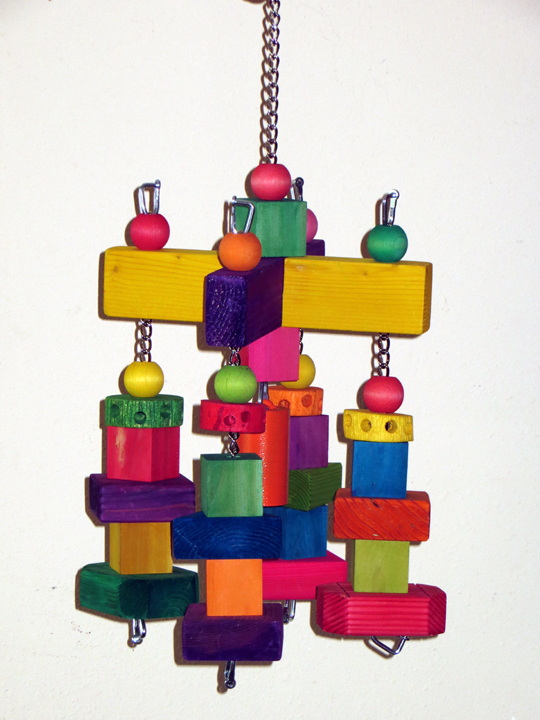 There are two pieces of wood across the top, which makes a cross, and from each of those four legs, there is lots of hanging hunks of wood (also on nickel plated welded chain). 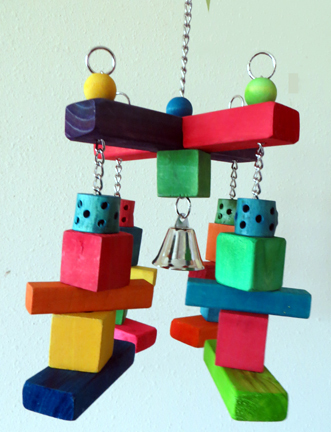 There is a bell in the center for a ringing good time ... and this toy should keep some of your Busy Beaks very happy!